Hina Rizvi, Esq. is the founder and managing partner of Rizvi Legal Professional Corporation. Her practice focuses on a wide range of matters in the areas of family law, corporate law, employment law, Wills & estate planning and real estate law. She approaches these intermingling specialties with a collaborative mindset and with the goal of reaching the most efficient outcome for all individuals involved. Hina has a global and diverse legal background. She graduated from the University of East London, in London, England, with an Honours LL.B. in 2008 and was ranked in the top 1% of her graduating class. She has been certified by the National Committee on Accreditation of Canada, which provides her with a Law Degree from both Canada and England. Hina was admitted to the New York State Bar in 2010, and was called to the Ontario Bar in 2012; thereby obtaining a dual qualification as a lawyer in both jurisdictions. 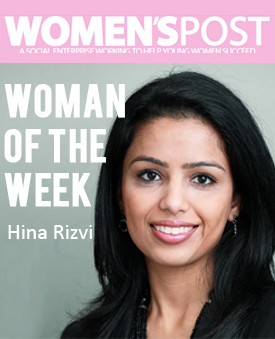 Prior to commencing work as a sole practitioner, Hina gained experience at various law firms in differing roles. She learned and familiarized herself with the complexities and day-to-day challenges faced by both a general practitioner and a specialized advocate. She received specialized legal training from a family law lawyer, whose focus was to resolve issues through alternative dispute resolution methods, such as negotiation, mediation and collaborative practice. Hina recognizes the integral decisions faced by an individual when considering the issues involved in a marriage contract, a separation agreement, purchasing a new house, setting up or expanding your company, or determining the appropriate disposition of your property through a Will. Hina is committed to providing you with the stepping stones of competent advice and resources tailored to your specific situation in a cost-effective and supportive manner. Hina is a member of the Law Society of Upper Canada, the Canadian Bar Association – Ontario Chapter, the New York State Bar Association, the American Bar Association, the Mississauga Board of Trade, and the Indo-Canada Chamber of Commerce. Hina is fluent in English, Urdu and Hindi. She enjoys a wide range of activities including swimming, horseback riding, yoga and travelling.